Most of the time, it feels that we can talk with our close friends about anything. But in many social circles, there are still topics that tend to be taboo—whether it comes to discussing finances, politics, or personal mental health issues. 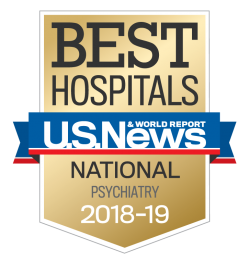 However, you shouldn’t feel like you need to hide your mental health diagnosis from trusted confidantes. In fact, being open and honest about a mental health diagnosis with close friends can be the first step toward creating a strong support team that can be integral in offering encouragement and helping you on your recovery journey. Below, you’ll find tips about how to open up to friends about your mental illness. Decide what you feel comfortable sharing. The closeness of your relationship with a friend may determine how much you feel comfortable disclosing about your mental illness. This could range from simply sharing the name of your diagnosis, to sharing how long you’ve dealt with the illness, to relaying specific anecdotes about how it has impacted your life. 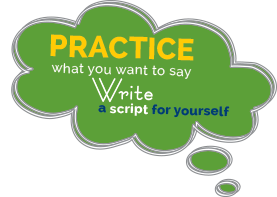 Practice what you want to say. Sharing an intimate part of your personal life can be uncomfortable, so it might help to jot down a few thoughts that you hope to communicate in this conversation. Consider sharing this list with a therapist or mental health professional before you plan to have this conversation. Together, you can role play how this conversation might go, so you feel prepared when the time comes to talk with a friend. Let your friends know how they can support you. For instance, are there certain triggers that you’d like them to know about, so they can help to keep you from them in the future? Do you need them to lend an ear from time to time when you need to vent? Your friends want to be there for you, so it’s important to communicate how they can best do this. Remember that you are not responsible for other’s reactions. While a good friend will be receptive and supportive when someone confides in them about mental illness, others might become uncomfortable or react in an inappropriate way. If this happens, remember that it’s due to their ignorance on the topic, and not your fault. You should consider setting up healthy boundaries with this person in the future, and take pride in the fact that by speaking up about your mental illness, you’re helping to end the stigma and silence around these disorders that impact 1 in 5 people nationwide. We hope these tips will allow you to feel comfortable confiding in friends—because no one should have to face a mental illness alone. Have you disclosed your mental illness with friends in the past? Any tips you have to offer? Please share in the comment section below.